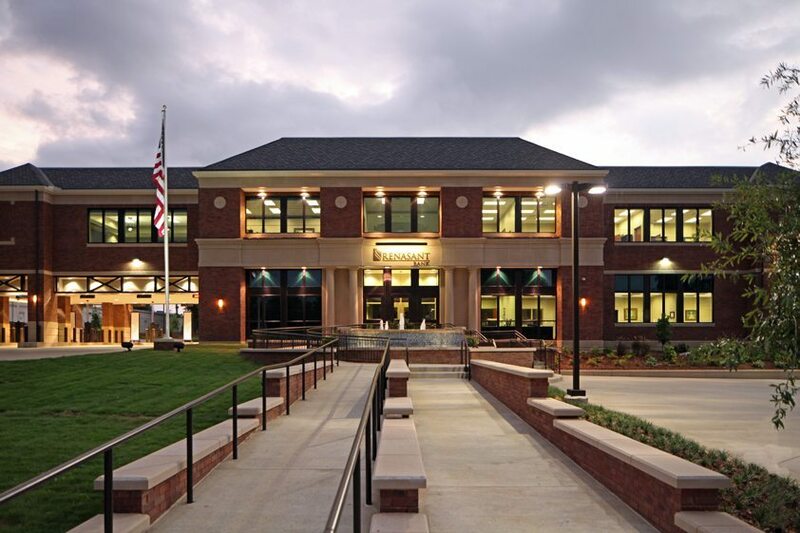 Project Summary: Renasant Bank was a two-story, 16,258 SF “main branch” banking facility constructed in downtown Starkville, MS. The project consisted of demolishing the existing structures and preparing the 2.13 acre site for the new facility. Along with the described scope of work, the project involved intense coordination with installation of the bank’s precast concrete vault, pneumatic tube system, money changing equipment, security systems, keying systems, and safety deposit box systems. The facility also carves out a designated space for community functions, appropriately named the Renasant Community Room and painted MSU Maroon. Special security provisions were made for the remaining areas of the bank to remain under secured surveillance while the Renasant Community Room is in use. 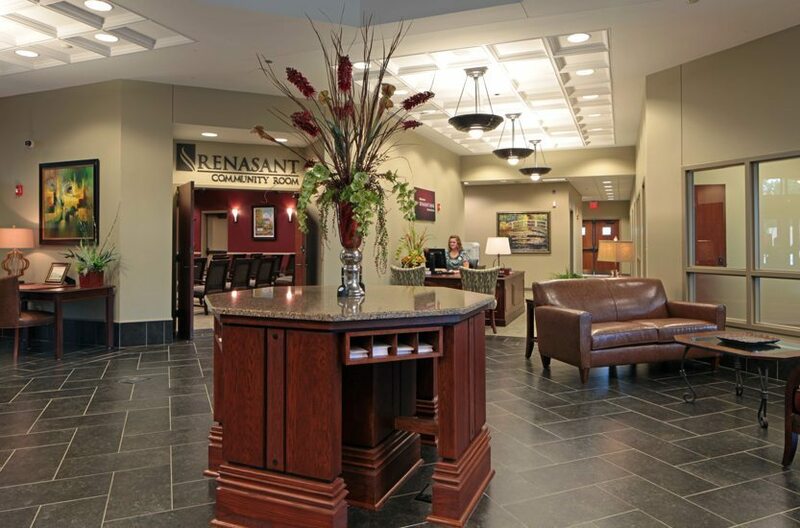 During the project, Renasant Bank acquired Merchants and Farmers Bank, and plans were made for the facility to house the current bank’s administration as well as the additional acquired employees. The operating branch, housed in a rented retail storefront adjacent to the site, was relocated to the main facility upon completion. 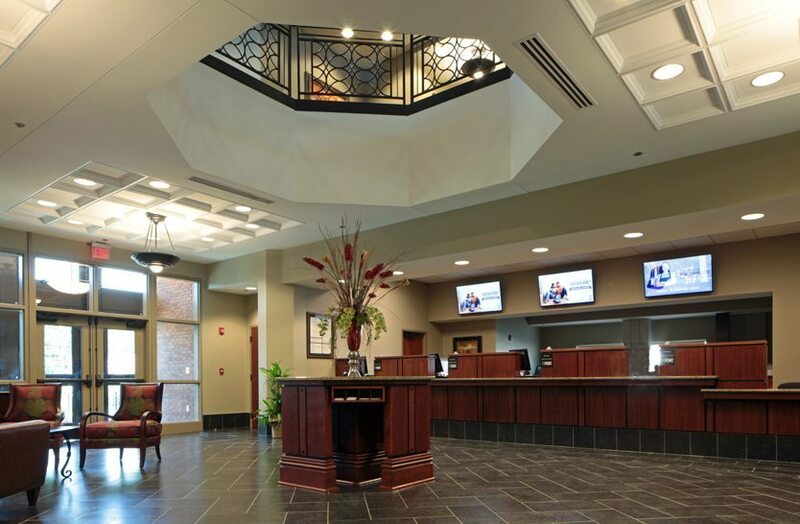 The second floor of the facility contains the wealth management offices, main conference room, catering accommodations, spacious balconies, and an open space equipped with rough-ins for growth and future expansion.